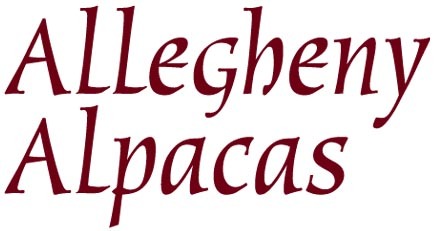 "Exceptional Peruvian Suri & Huacaya Alpacas"
Allegheny Alpacas specializes in exceptional Suri and Huacaya alpacas of Peruvian lineage. We are dedicated to continual alpaca improvement through selective breeding for quality fleece, extensive fiber coverage, beautiful color, correct confirmation, and an even temperament. Suri alpacas enjoying the day, grazing in the pastures at Allegheny Alpacas. 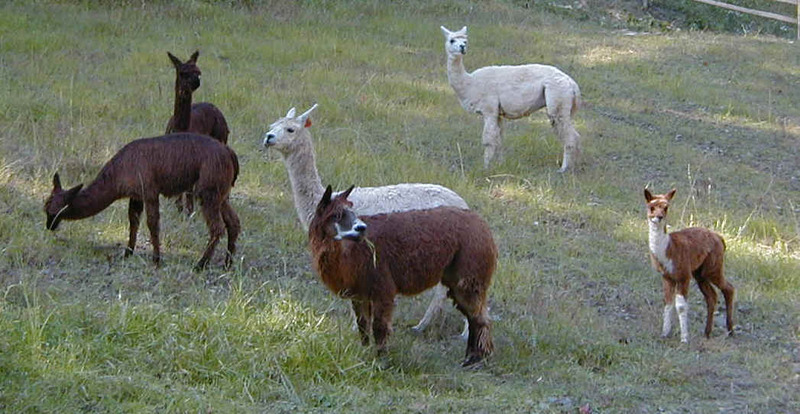 Raising alpacas is a rewarding experience that provides a nice income and substantial tax benefits. To us, it is more than a business. It is a lifestyle that provides many rewards, including stress-relief and family values. For those of you interested in investing in alpacas or simply wanting to learn more about the alpaca industry, we invite you to visit our farm and discover the rewards of the alpaca lifestyle. 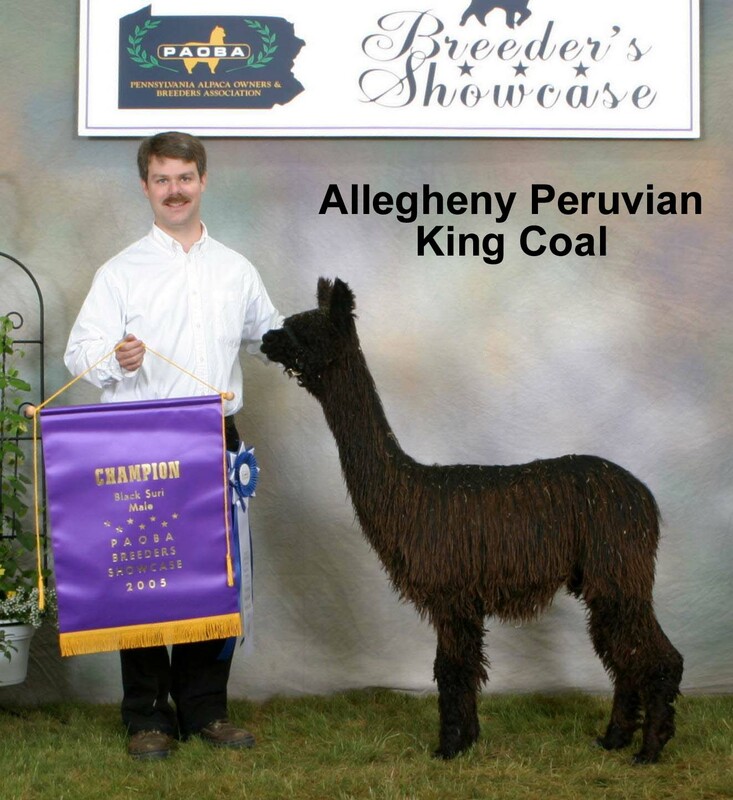 Allegheny Peruvian King Coal, a 3X CHAMPION, 9X BLUE Ribbon winner is one of the alpacas you can meet when visiting Allegheny Alpacas.